If you haven’t heard Chris’s solo albums they are a treat, with his trademark humorous lyrics oozing with pathos and some nifty tunes. There’s ‘I Didn’t Get Where I Am’ from 2002, ‘The Last Temptation of Chris’ from 2008 and ‘Cashmere if You Can’ from 2011′. They are ripe for rediscovery – and what better way than an Amazon Exclusive Box Set With Print. You can get the normal vinyl version here. And there’s still the five disc box with 4CDs and a DVD with booklet and extra tracks available here. Don’t miss out – the Amazon exclusive is limited to only 500 copies. 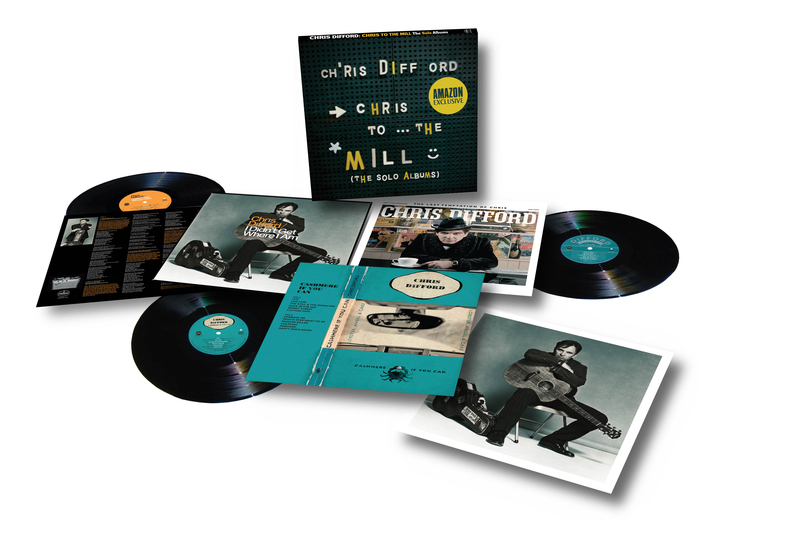 One Response to "An Amazon exclusive of Chris Difford’s three album ‘Chris to the Mill’ box set – on vinyl!"